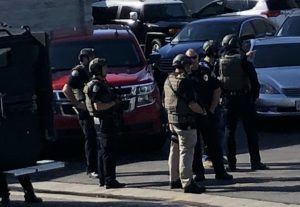 At approximately 9:50 a.m. this morning, February 5, 2019, a San Marcos High School student reported what appeared to be a man with a gun in a parking lot near the gym. The campus was immediately placed on lockdown. Sheriff’s deputies responded to the school within minutes and begin searching for the suspect who was described as a white male adult wearing a grey suit. A Santa Barbara County Sheriff/Fire Air Support helicopter responded as well as several K9 teams. 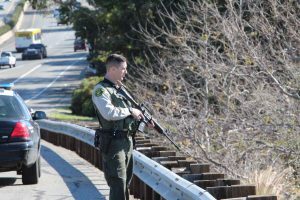 Sheriff’s deputies secured a perimeter and were assisted by personnel from the UCSB Police Department, Santa Barbara Police Department and California Highway Patrol. The Sheriff’s Special Enforcement Team and Santa Barbara Police SWAT Team were also deployed. Sheriff’s deputies worked closely with Santa Barbara Unified School District officials to ensure the students were safe. Within the hour, Sheriff’s deputies were able to contact the male subject and determine that he was not armed. 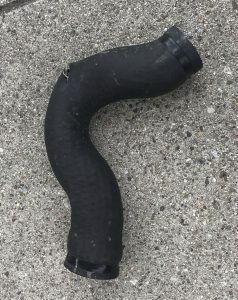 The item he was seen holding was actually a radiator hose. He had innocently pulled into the parking lot when his car experienced mechanical problems. Once it was determined there was no threat, the lockdown was lifted. The Sheriff’s Office wants to take this opportunity to praise the student who saw something suspicious and reported the incident to school officials right away. Her swift response enabled law enforcement and school administrators to immediately initiate Standard Response Protocols. We also thank the students and staff at San Marcos High School for being calm and for following instructions rehearsed during lockdown drills. This successful outcome is directly related to the practice of lockdown drills. We are pleased this situation came to a quick and safe resolution and we thank everyone involved for their collaboration and cooperation.